Australia's carbon bomb the Carmichael mega mine will become one of the largest coal mines on the planet, covering an area of 200 square kilometres. The proposed Adani mine sits on one of the world’s largest untapped coal reserves, where a further eight new coal mines have been proposed. If they go ahead, the coal from these projects would unleash 705 million tonnes of co2 into the atmosphere each year. Send your #StopAdani message to the Australian embassy or high commission and let the Australian national government know the world doesn’t want this polluting mega coal mine. Dear Honourable Ambassador or High Commissioner, I am writing to you to demand that the Australian government immediately withdraw support for the Adani Carmichael mega mine in Queensland. If the mine proceeds, it will become one of the largest coal mines on the planet, covering an area of 200 square kilometres. The proposed Adani mine sits on one of the world’s largest untapped coal reserves, where a further eight new coal mines have been proposed. If they go ahead, the coal from these projects would unleash 705 million tonnes of co2 into the atmosphere each year. The latest IPCC special report into keeping global warming under 1.5°C makes clear that if we want to avoid devastating climate impacts on humanity’s health and welfare, we have to leave fossil fuels in the ground. To ignore the warnings of the UN’s top climate scientists and allow the mine to be built poses an unacceptable risk to Australians, the country’s low-lying Pacific neighbours, and the world at large. Please tell the Australian government to listen to the majority of Australians who oppose the Adani mega mine; the voices of the Traditional Owners of the land, the Wangan and Jagalingou people who also oppose the Adani mine; and the Pacific climate activists have been fighting to raise awareness of the threat that the Adani coal mine poses to lives, livelihoods and ecosystems in the Pacific. The world is watching and the world wants to #StopAdani. You have taken action to stop what could be one of the largest coal mines in the world. Can you take a moment now to share this action? 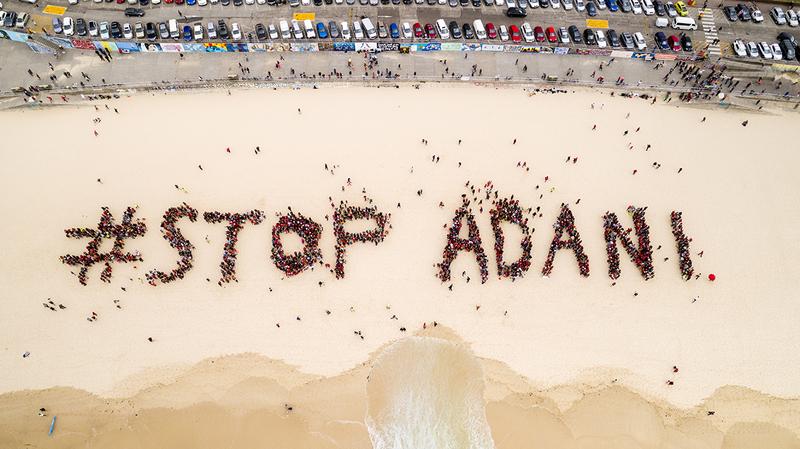 Send your #StopAdani message to the Australian embassy and let the national government know the world doesn’t want this polluting mega coal mine.